A couple of weeks ago, Panasonic announced two new smartphones under its Eluga lineup, namely, the Eluga Ray X and Eluga Ray Max. However, at the time of the announcement, Panasonic did not reveal the availability date. Today, the company has sent out a press release stating that the phones will be available from April 17 exclusively via Flipkart. 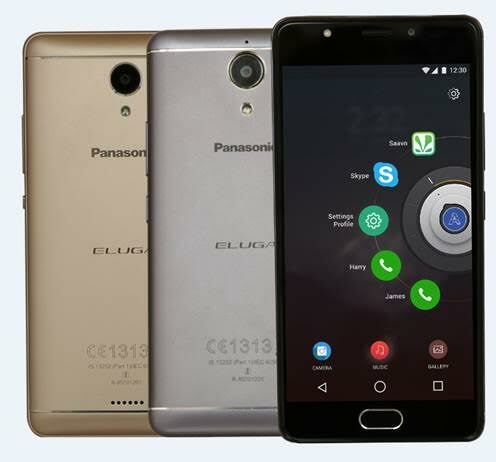 The Panasonic Eluga Ray X is priced at Rs. 8,999, while the Panasonic Eluga Ray Max sets you back by Rs. 11,499 for the 32GB option. For the 64GB variant, you’ll have to shell out Rs.12,499. The USP of both the phones is the ‘Arbo’ artificial intelligence assistant. The assistant tracks your daily usage and behaves accordingly. Diving into the specifications, the Eluga Ray X comes with a 5.5-inch HD display, which is on par with what rival companies are offering. 1.3GHz quad-core processor powers the phone with support for 3GB of RAM and 32GB of internal storage. The storage can be expandable up to 128GB via microSD card. In terms of camera, the Eluga Ray X rocks a 13MP primary camera along with a 5MP front-facing camera. The phone comes with a 4000mAh battery with no support for fast charging technology and runs Android 6.0.1 Marshmallow based customised OS. Speaking about the bigger variant of the two, the Eluga Ray Max flaunts a 5.2-inch Full HD display, carrying a resolution of 1080×1920 pixels. At the heart of the phone is an octa-core Qualcomm Snapdragon 430 chipset, clubbed with 4GB of RAM. The smartphone comes in two variants – one with 32GB of internal storage and the other with doubled storage of 64GB. The Eluga Ray Max rocks a 16MP rear-facing camera with PDAF and assistance for LED flash. There’s an 8MP front-facing camera with no support for LED flash. The phone is armed with a 3000mAh battery with Qualcomm QuickCharge technology. Same as the Eluga Ray X, the Eluga Ray Max also boots Android 6.0.1 Marshmallow based OS. Will you purchase any of the Panasonic devices only for the Arbo AI personal assistant? Let us know in the comments section below.